These are only a few of the rumours that the Rohingyas living in the camps in Cox’s Bazar are faced with. 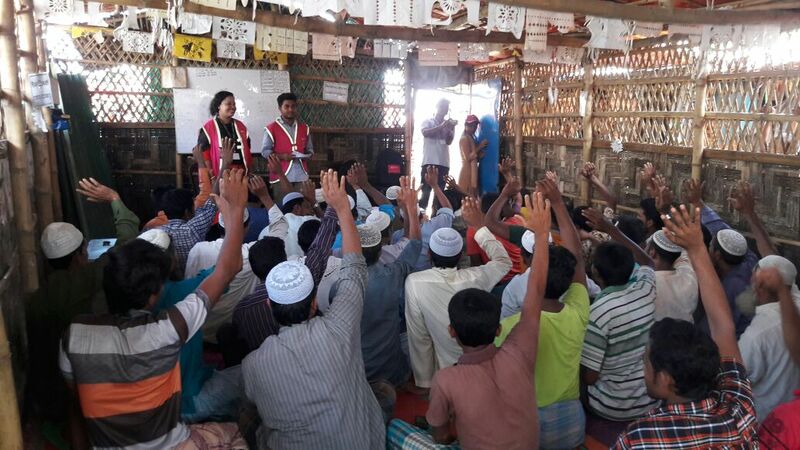 In December 2017, following a joint field assessment, the Government of Bangladesh and WHO launched the first phase of a diphtheria vaccination campaign in the Rohingya camps. 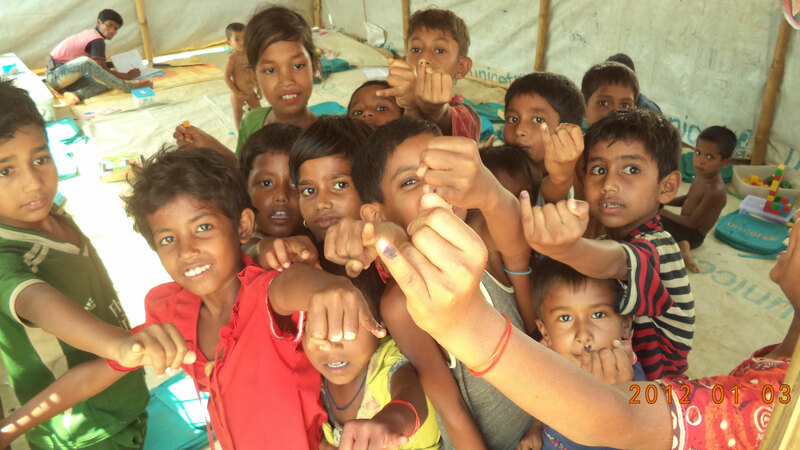 As the biggest responder to the Rohingya crisis, BRAC, along with local and international NGOs, were tasked by the government to vaccinate children in the camps in Ukhia and Teknaf for diphtheria. Initially, the Communicating with Communities (CwC) Working Group of the Inter Sector Coordination Group (ISCG) that coordinates field response, mobilised a total of 1,050 community volunteers of whom 800 were from BRAC’s Communication for Development (C4D) programme. 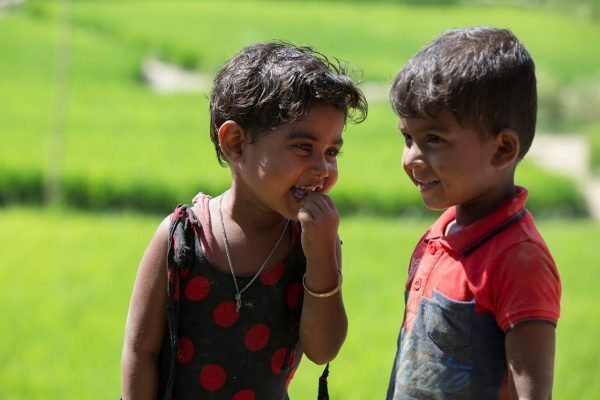 But, as they went from door-to-door with their messages about diphtheria vaccination, they were faced with a problem – most of the Rohingya families refused to vaccinate their children. The biggest reason was that they believed they would become Christians if they took the vaccination. They adopted and improvised on the transtheoretical model of behaviour change which states that there are five stages towards behaviour change between which individuals may transition before achieving complete change. (c) acknowledgement, ratification and trust (d) practice and (e) advocacy. C4D staff conduct a consultation session with imams of local mosques. The Rohingyas were fine till the information stage – they had knowledge that there was a disease which caused throat ache and there was a vaccination for this, but didn’t know that it was called diphtheria. The main problem arose in the third stage – the Rohingyas refused to acknowledge that this disease could be prevented through vaccination because of all the rumours. 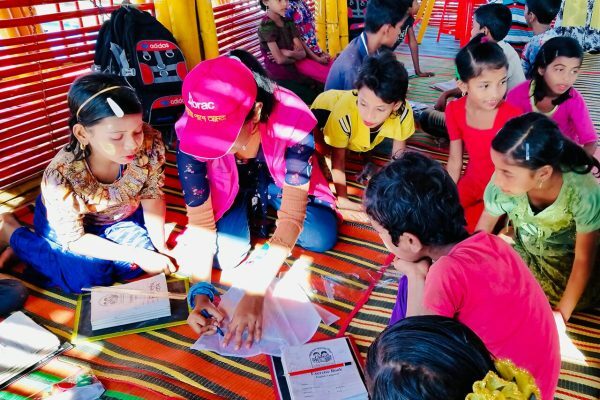 In order to overcome this situation, BRAC’s C4D volunteers resorted to the interpersonal communication (IPC) method, which again is a five-pronged approach: (a) appearance (b) brief rapport building (c) disseminating (d) de-learning and (e) recalling. The volunteers,after extensive training on the IPC method, went to a total of 40,000 households and conducted several rounds of half-an-hour-long IPC sessions in each household. In addition, they held separate consultations with local religious leaders (imams) and community leaders (majhis). 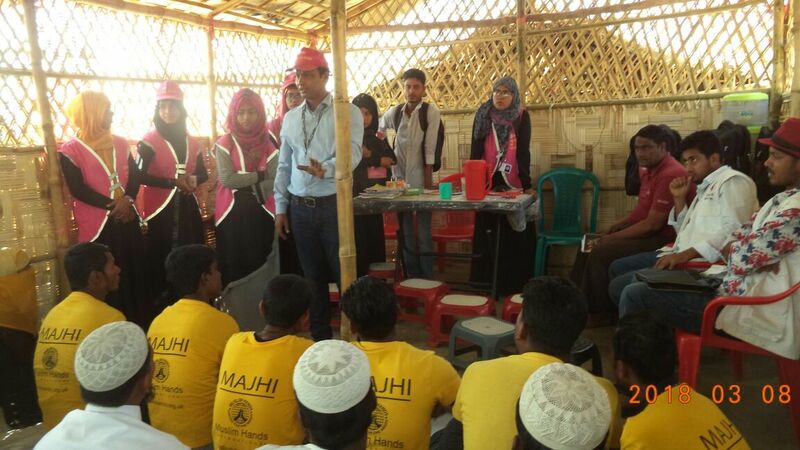 C4D staff hold a consultation session with majhis as part of the diphtheria vaccination campaign. They applied the “don’t oppose, rather manage” strategy. They didn’t give the message right away – they first listened to what they had to say against vaccination and then asked questions until the respondent couldn’t come with a logical answer. It turned out that none of the Rohingya respondents has personally seen anyone die from vaccination. The superstitions were all based on rumours spread mostly by religious leaders back in Myanmar and they became easily viral among the uneducated, God-fearing Rohingyas. Eventually, most respondents of the IPC came to a realisation through constant reinforcement of the message that what they knew were only based on rumours and agreed to vaccinate their children. In the first round of the vaccination in December, the volunteers (from all organisations) managed to bring a staggering 81% of the target number of children (6 weeks to 7 years) under the vaccination. In the successive rounds in February and March 2018, the success rate was 93% and 115% respectively, thanks to an effective application of the IPC method. The C4D volunteers lead all these phases for obvious reasons and covered as much as 62% of the total number of children vaccinated during the three phases. 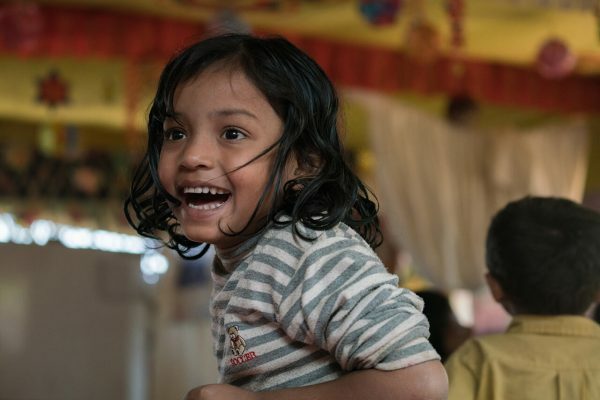 In the areas that BRAC volunteers worked, rumours centering around diphtheria were almost completely removed by the end of the second round in February. However, in some areas such as Lada and Nayapara, where BRAC volunteers didn’t work, rumours couldn’t be completely eliminated even after the third round. Later, upon special request by the government and WHO, the C4D volunteers worked as specialists in those areas and significantly raised the success rate. Children pose after taking vaccinations. Currently, the C4D programme staff is working to address a new rumour that has been detected after a survey in the camps. Many Rohingyas fear that they might be forced to go back to Myanmar if their names are listed in this survey. C4D is now using the same five-pronged approach to manage this rumour. A longer term plan is to develop a workable rumour-tracking mechanism with an aim to shift from the existing reactive, case-to-case management approach. Rajib Bhowmick is the head of media and external relations at BRAC. Shamim Iftekhar is the team lead of BRAC’s communication for development programme.